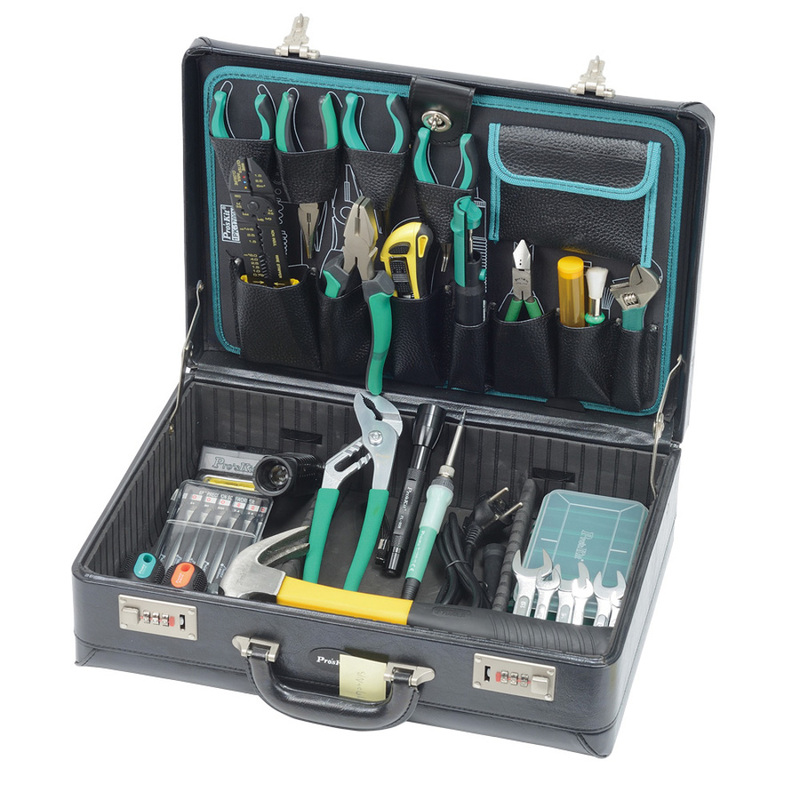 This Electronics Master Kit contains a broad selection of tools for the professional. 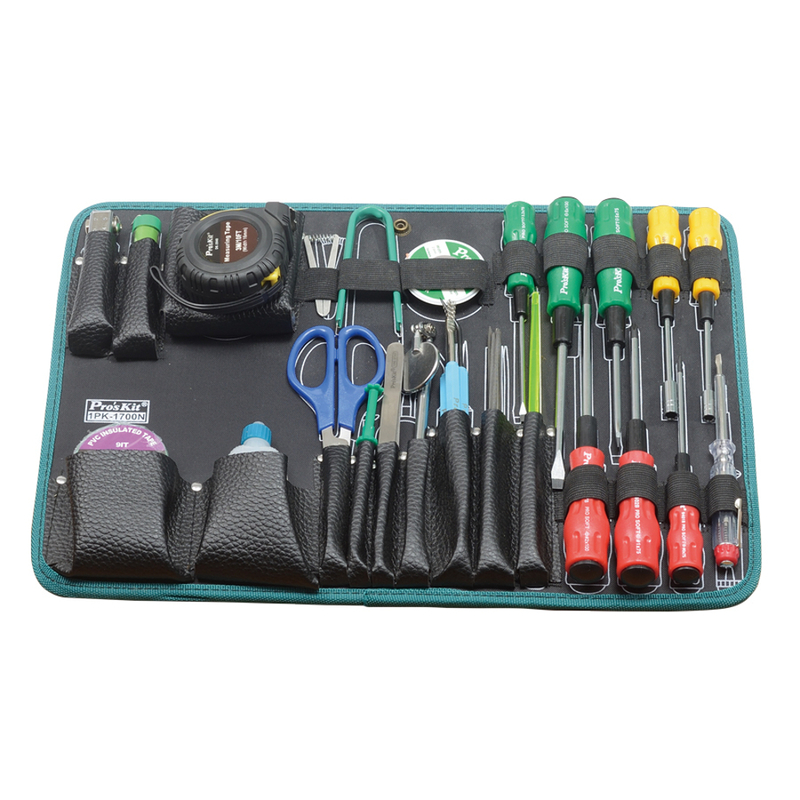 Housed in a 18" x 13" x 5" briefcase style case with a pallet design that will keep the case organized making tools easily accessible. 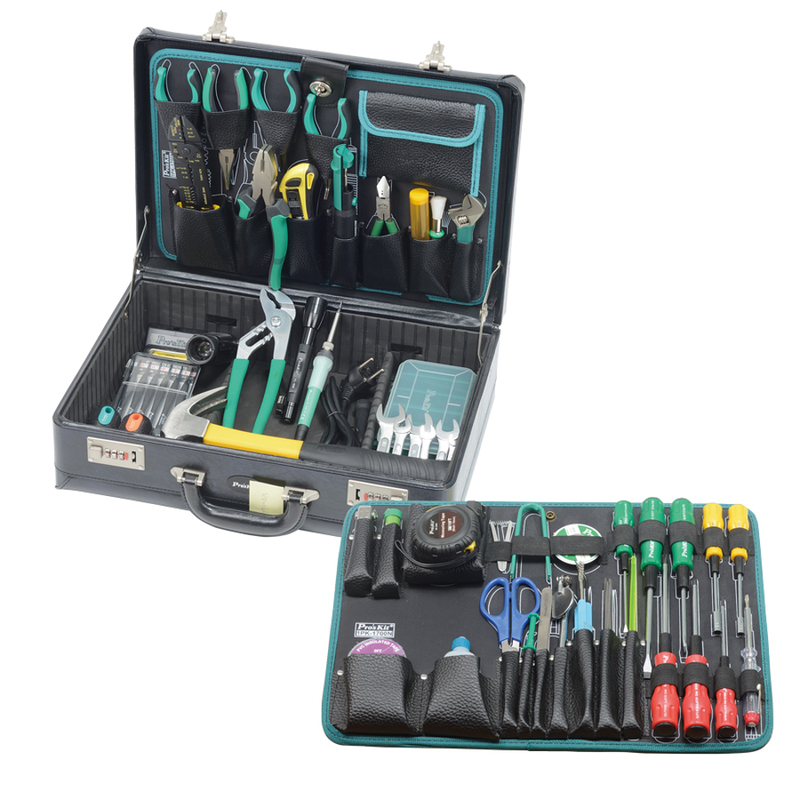 A combination lock on the case helps secure your tools while not in use. Bent nose plier 130mm Pro-soft s/d 5.0x75mm Stainless scissors 6"